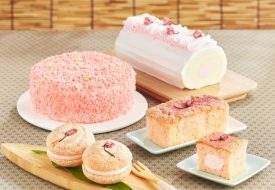 Barely a month after McDonald’s wowed us with their healthy and delicious Red Rice Porridge, they’re coming up with new food items again. This time round, the spotlight’s on the new Hokkaido Salmon Burger which features a Hokkaido Salmon patty in a crispy panko breaded coating. 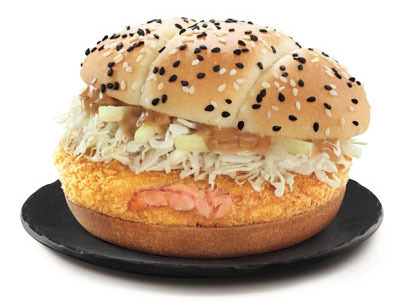 The salmon, sourced from Hokkaido, is topped with shredded white cabbage, and dressed with roasted sesame mayo. 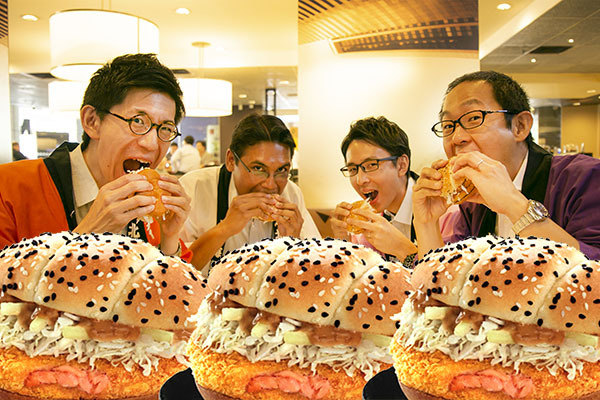 Just in case you’re wondering if the taste’s going to be authentic, we were told that a team from Hokkaido certified the burger as using Hokkaido salmon, and gave their stamp of approval. Kudos to the team of McDonald’s for the the effort! The Hokkaido Salmon Burger and Hokkaido Double Salmon Burger Extra Value Meal which includes the Hokkaido Salmon Burger, Fries (M) and a Coke (S) is available from $7.70 and $9.70 respectively. The party wouldn’t be complete without the return of our all-time favourite Seaweed Shaker fries, this time in a brand new shaker bag. 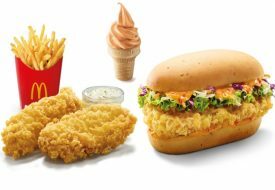 The Seaweed Shaker Fries is available ala carte from $3.40 or as part of an Upsized Extra Value Meal – simply upgrade your Extra Value Meal for an additional $0.60. What’s a satisfying meal without a dessert? 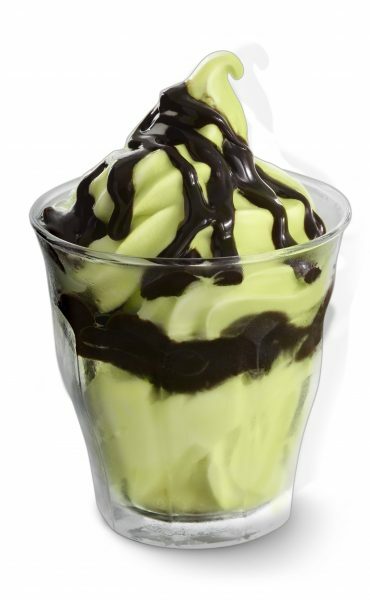 Available exclusively at all McDonald’s Dessert Kiosks, complete your meal on a sweet note with creamy Matcha desserts. The Matcha range come in Cones, Hot Fudge Sundae, and McFlurry with Mini OREO ®. Matcha Desserts start from $1.10. Aside from the new food, you’ll be pleased to know that McDonald’s will be giving away a pair of tickets to Hokkaido in partnership with the Hokkaido Prefectural Government, as part of the 150th anniversary of the naming of Hokkaido. For your chance to win, simply comment on the Shaker Fries Dance contest post on McDonald’s Facebook page with your Shaker Fries Dance video. 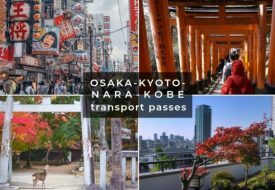 The video with the highest number of Facebook likes will win a pair of return tickets to Hokkaido!